Upgrade your kitchen with this 5.3 Cu. Ft. Kenmore Range! 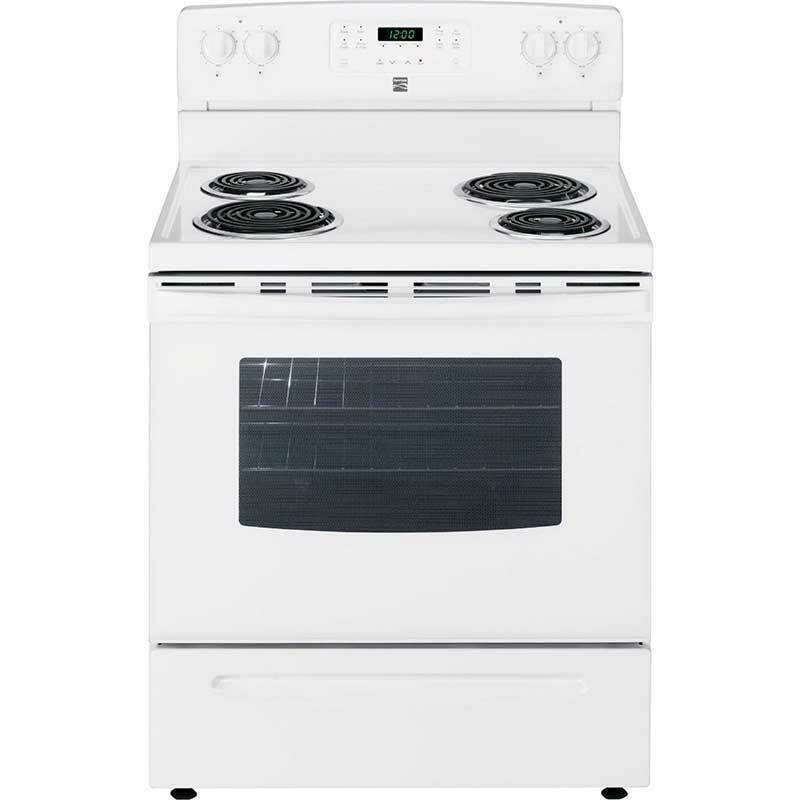 This model features a 4-coil stovetop, large viewing window, digital clock and a self-cleaning mode. Available in white.